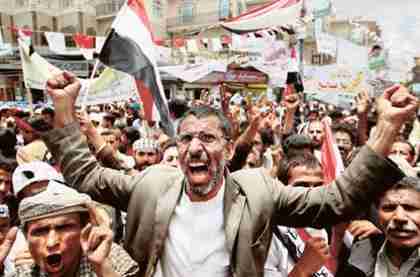 Will Yemen’s President Saleh get away with it again? Instability in Xinjiang is a threat to Chinese Communist Party (CCP) credibility and legitimacy. Separatist movements in Xinjiang encourage similar movements in other regions, including Tibet, Inner Mongolia and Taiwan. A sign of weakness in Xinjiang will be interpreted badly by “splittist” groups in these other regions. Xinjiang is a strategic region for China. Three times the size of France and one sixth of China’s land area, it share borders with eight countries: Mongolia, Russia, Kazakhstan, Kyrgyzstan, Tajikistan, Afghanistan, Pakistan and India. It is rich in energy resources and a key transport corridor for China to access energy and strategic minerals from Central Asia, Caspian region and the Middle East. TIP terrorist attacks threaten a core tenet of China’s strategy of stabilizing Xinjiang–as an ‘inseparable part of China,” for resource extraction and as a springboard into Central Eurasia. Xinjiang is a vital section of the continental rail route, the Eurasia Land Bridge, which connects China with Europe. One rarely mentioned aspect of Xinjiang is that it hosts China’s nuclear test site Lop Nur. Persistent unrest has left China’s Xinjiang-based nuclear warheads vulnerable, and large scale unrest might make these weapons become vulnerable to seizure by Uighur militant groups.